A Week in the Life of Matt! Matt’s turn! Now I get the joy of sharing with you all what my week has been like. This one was different than most of my weeks, since I spent most of my time in various villages with the Village Champions. Hope you enjoy! Friday afternoon, one of our Village Champions from Source Matelas took me and a group of 3 pastors/church leaders into Titanyen (the city where the mission is located) to go check out the local market before we called it a day. 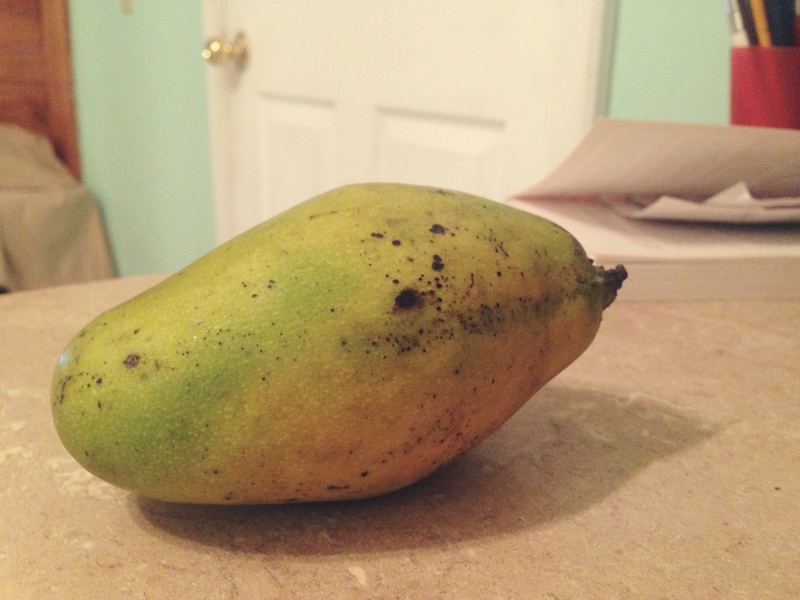 One of the pastors wanted to get some stuff to make salsa for the staff and I really wanted some fresh mango. When we pulled over to the curb and got out of the van, literally every eye around was focused on us. It makes sense…a group of 4 white people in a market filled with only Haitians…yeah we were noticed. Most of the vendors flocked to our area to try to sell us their goods. One of the pastors got all his fresh supplies to make salsa for about $5USD and I got a bag of 8 mangoes for $2. (A few days ago I got Amanda 3 avocados for $1). Not a bad deal if you ask me. In Haitian markets there are usually 2 different sets of prices: a Haitian price and a blan (white people) price, which is usually double the Haitian price. I’ve learned from several Haitians recently that as soon as I can negotiate prices and communicate well in Creole, I can get Haitian prices for things! I’m excited! The end of this week involved me leading a vision trip for 3 church leaders from Minnesota. 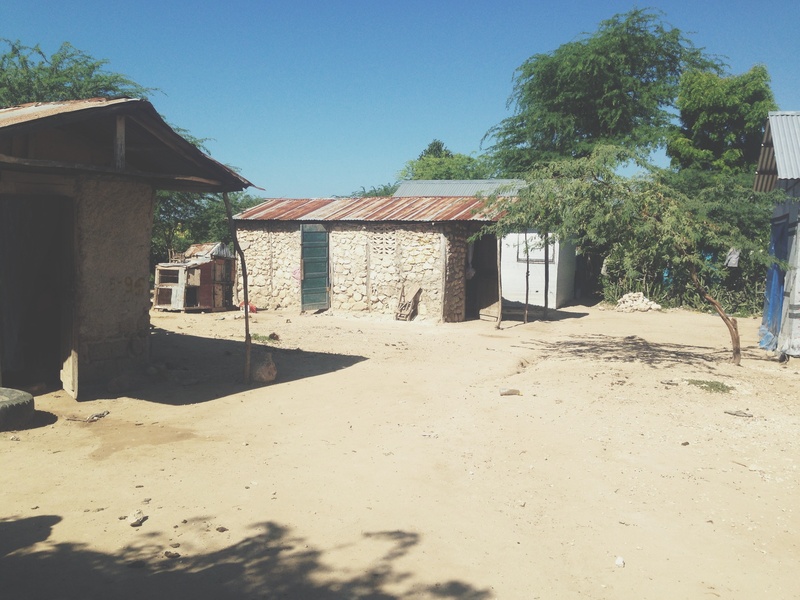 They had been down to Haiti several times, but were interested in learning more about their sponsored village (Source Matelas) and what the needs were there. 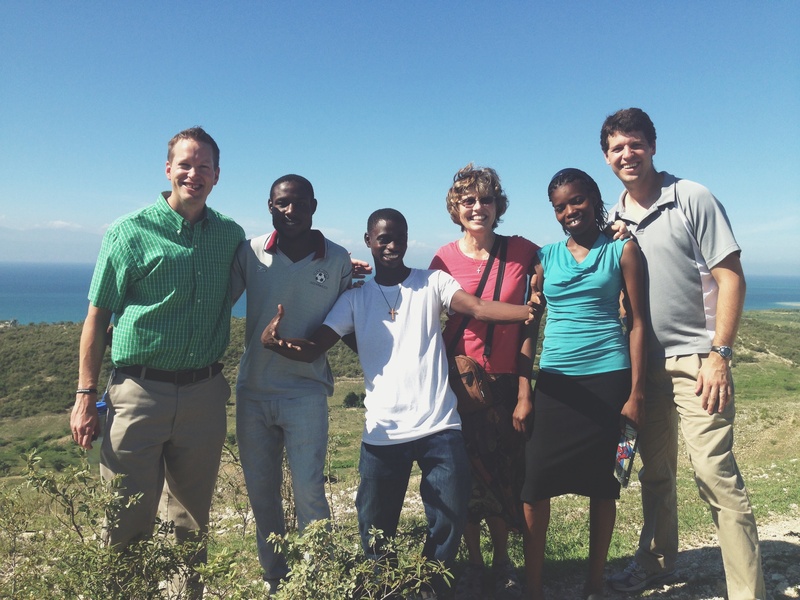 They had also never met the Village Champions, since they hadn’t been to Haiti since this program started earlier this year. We spent about two whole days exploring Source Matelas and having the VCs lead the trip with me simply tagging along. Since this group of VCs are almost all fluent in English, I let them do everything and they definitely exceeded my expectations! They led us through their village, showing us places of need, places of triumph and even their homes. They cast the vision for these pastors SO well and engaged them the whole time and did a great job showing them a majority of their large village and explaining the ways in which these pastors can help support them in the future. I’m blown away by their leadership and their reputation in the village! Since I spent a majority of my week in Source Matelas, I’ll try to give you a snapshot of the things we did and saw while walking around. This is one of the larger sources of water for the village. 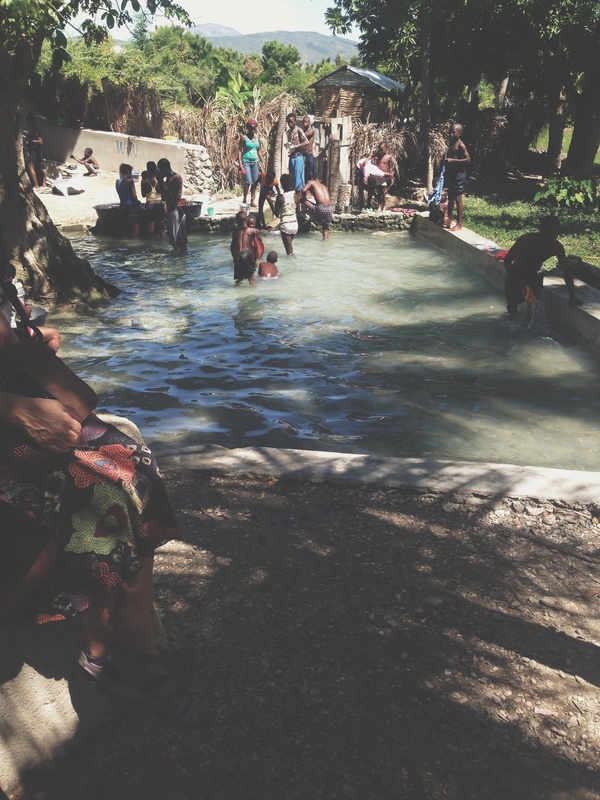 People come here to bathe and do their laundry and get water to boil for cooking. While Source Matelas has a lot of water sources, most of the water is unclean to drink. World Vision put in a water filter here after the earthquake but has since broken down with no one to fix it. The Village Champions have identified potable water as their biggest physical need that would transform Source Matelas if it was possible to accomplish. We’re currently exploring options for the best way to provide this need. The VCs took us to a rough area of their village known as/what sounds like “Lack of Shadon.” Shadon is a type of cactus that used to occupy the region but has been torn out in the last few years to make room for people to live. They told us that if the rest of Source Matelas is bad, this place is worse. There are no water sources here, so the people have to walk down to other neighborhoods of Source Matelas to bring water home. The VCs said that this is most likely the area they would like to begin projects, since this area is just so rough. Wells and a solar light project are their first steps. On their last day in the village, two of the church leaders requested to meet the students that they sponsor each month. Normally this is done at the school, but since school just began this week and a majority of the students haven’t reported to school yet, it was up to the Village Champions to find these students based on their picture. Again, they didn’t disappoint. We got to meet both families sponsored students at their homes with their families present for the meeting. It was such a sweet time of exchanging gifts, meeting mom, dad and the rest of the family, and seeing where these kids live. 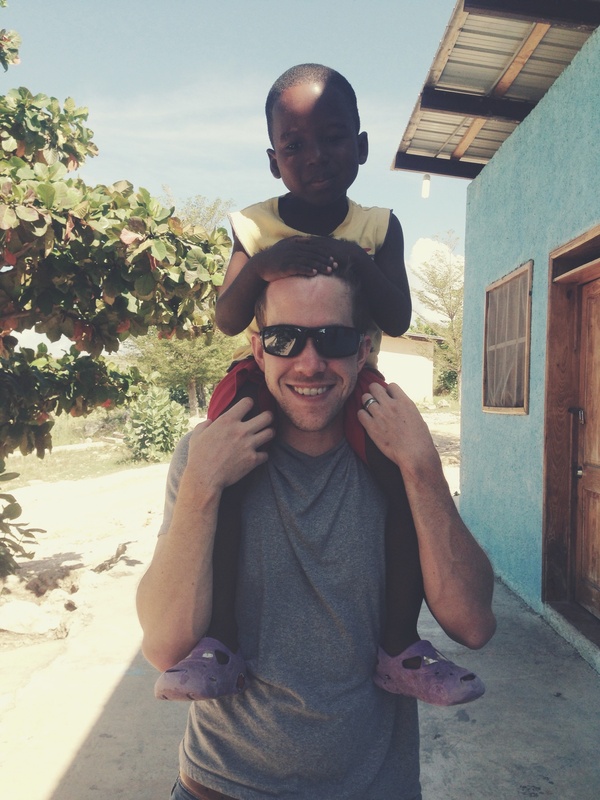 If you’d like to learn more about child sponsorships through Mission of Hope, please visit http://mohhaiti.org/child-sponsorship. It only costs $35/month to pay for a great majority of the students’ education at a great school. Amanda and I sponsor a boy named Exantus in Source Matelas as well, and look forward to meeting him soon! Maybe instead of just reading about Haiti and what we’re doing here, perhaps God is calling you to take a trip down here and see what He is doing yourself? Just a thought. It’s 2% of your time out of the year, it’s inexpensive, and maybe God could spark your heart for long-term missions? It’s worth checking out. 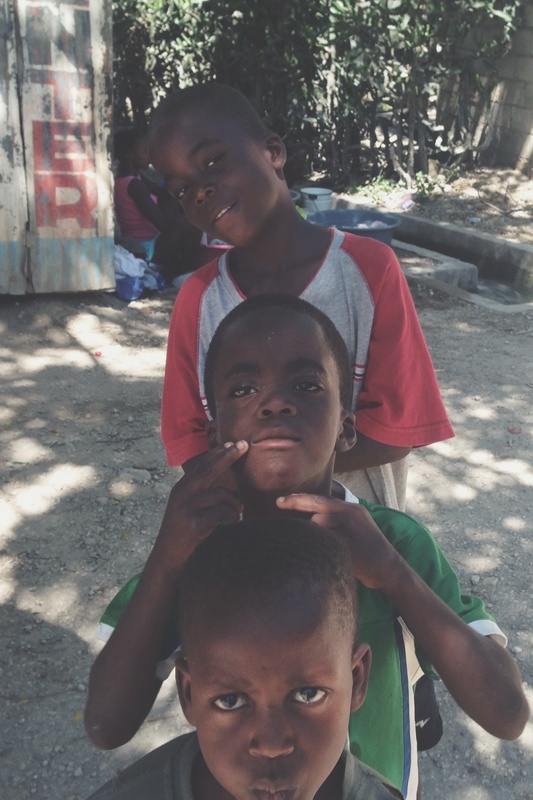 Visit http://mohhaiti.org/mission_trips to learn more! Maybe you can’t take a trip to Haiti because of your work, a felony on your record, or a fear of flying? Perhaps you’d consider sponsoring us as your way of getting involved in the mission of God? Some are called to go, and some are called to stay home and “hold the ropes” for the people out in the field. Would you pray about what the Lord wants you to do? Good to get the lowdown on the work, man! I’m excited that you are getting out into the villages already and beginning to connect churches here with the vision there. May God get the increase! Praying for you guys and the task in front of you.